'There Are Places I Remember': There's no need to feel down.. There's no need to feel down.. Although they made concert appearances in Birkenhead on a number of occasions, the Beatles reportedly only appeared once at the town's YMCA building. The date of the show was 8 September 1962, significant as it falls between the two recording sessions on 4 and 11 September held at the EMI studios in Abbey Road for the Beatles first single, Love Me Do which was released the following month. In fact it was quite a week. On Monday they made a lunchtime appearance at the Cavern. In the evening they made the first of three consecutive Monday night appearances at the Queens Hall in Widnes, a town at the centre of the chemical industry, situated on the banks of the river Mersey facing the town of Runcorn and five miles upstream from Speke the most westerly part of Liverpool. The Beatles headlined all three appearances but the support acts varied. Providing support on this first night was Rory Storm and the Hurricanes, just back from a summer stint at Butlins holiday camp and with a different drummer to the one who had started the season with them. Backstage the atmosphere was undoubtedly frosty. With Ringo less than 24 hours away from making a record with the group he'd left the Hurricanes for he probably didn't spend much time pondering on whether he'd made the right decision. The Beatles had gone to Widnes in their own cars, road manager Neil Aspinall driving the group's equipment down to London straight after the gig, travelling through the night and planning to meet up with them early the following day. At 8.15 on the morning of Tuesday 4 September Brian Epstein had his "boys" assemble on the tarmac in front of the Viscount propeller plane they were nervously waiting to board and take their first ever flight from Liverpool Airport. 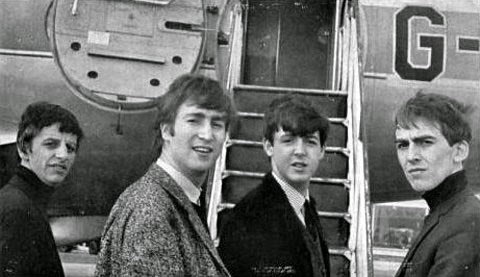 Bill Harry had asked Brian to write an article about the days events for Mersey Beat and Brian obligingly took a photograph to accompany his report in which he wrote "the boys were in great form (even at that early hour) although they were subject to a somewhat bumpy and tiring flight". 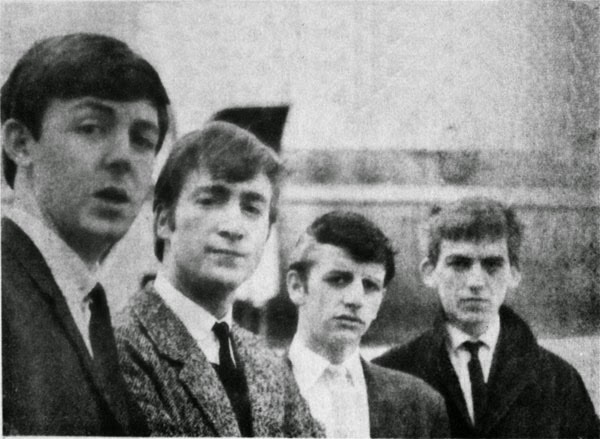 If Brian's photo, printed on the front page of the 20 September edition of Mersey Beat was intended to convey what great spirits the group were in that morning it falls some distance short of its goal. Tired after their late night in Widnes, the ungodly hour they were required at the airport and undoubtedly anxious about the day ahead, the four unsmiling Beatles look anything but upbeat. On 24 August George had been punched by a Pete Best fan, angry over his sacking. With his left eye now blackened he looks just about ready to kill Brian unless he puts the camera down and gets them on the bloody plane. Maybe he was plotting revenge on whoever had given him that haircut. Arriving in London, the Beatles checked in to a small hotel in Chelsea, meeting up with Neil and the van at the studio around lunchtime. Rehearsing from 2pm - 5pm they went for dinner with George Martin who took the group to his favourite Italian restaurant in order to get to know them a bit better, entertaining them with reminiscences of his past work with comedians Peter Sellers and Spike Milligan, names the Beatles found much more impressive than some of the musical acts George had recorded. From 7pm until around 11.15pm they recorded a number of takes of 'Love Me Do' and, much against their wishes, 'How Do You Do If, a song written by professional pop composer Mitch Murray, which George Martin intended as their first A-side. Renowned photographer Dezo Hoffmann was on hand to document both the session and to take some photographs for promotional purposes. Paul McCartney later recalled that some of the photos from this day were used as publicity cards and as his black eye was clearly visible, George hated them. By the evening of Wednesday 5 September the group were back in Liverpool, appearing at the Cavern alongside The Dennisons and Gus Travis and The Midnighters. On the 22 August the Beatles' lunchtime session at the Cavern had been filmed by Granada TV. Unhappy with the sound on the original film about one hour of the Beatles' performance this evening was professionally taped by a Granada TV engineer, with the intention of marrying up the tapes with the film shot two weeks earlier. Tragically, the tape was later wiped when the project was abandoned, but thankfully not before acetate recordings were made of 'Some Other Guy', and 'Kansas City'/'Hey, Hey, Hey, Hey', both of which circulate among collectors today. Other songs added to the Beatles set around this time and possibly captured on tape by the Granada crew included their covers of "The Loco-Motion" (Little Eva), "Sheila" (Tommy Roe), "Reminiscing" (Buddy Holly), I Remember You (Frank Ifield), and three of their own recent compositions, "Tip of My Tongue" "I'll Be On My Way" and "Hold Me Tight". No Beatles’ recordings of "The Loco-Motion" or "Tip Of My Tongue" are known to exist. The Beatles were back in the Cavern Thursday lunchtime. In the evening they appeared on a Sam Leach promoted show at the Rialto Ballroom in Toxteth. Supporting acts on the bill included The Merseybeats, The Big Three and Rory Storm and the Hurricanes, the latter no doubt still bitter about their drummer defecting to the headliners. On Friday 7 September it was under the Mersey to the Wirral, performing that evening at the Newton Dancing School located in the Irby village hall, Heswall, where Paul would later buy a house for his dad. 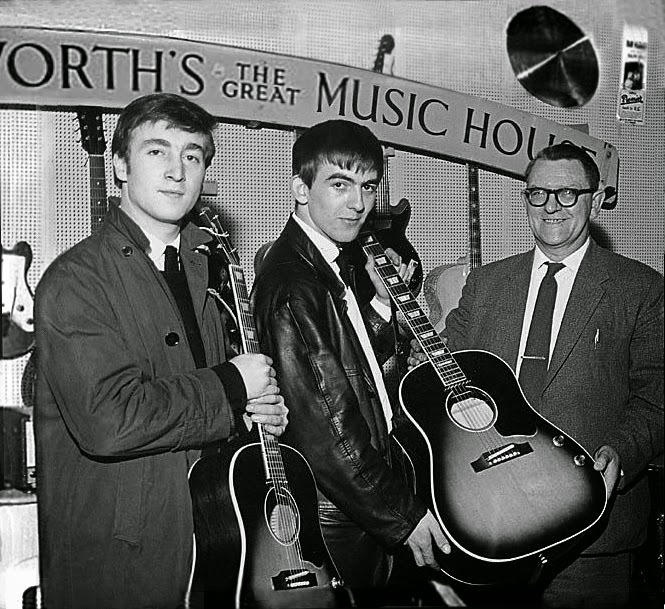 This Saturday morning was the likely date when John and George collected their new Gibson "Jumbo" acoustic guitars from Rushworths on Whitechapel in Liverpool city centre. At the time of their original session with EMI back in June the Abbey Road staff had complained about the suitability of the group’s equipment for recording purposes. Accepting it was time to upgrade, George and John promptly ordered new guitars on their return to Liverpool. Rushworths Music Store was one of the few places in town where musicians could order American made instruments. Perusing the Gibson catalogue they decided on matching Gibson J-160E’s, electric-acoustic guitars, which John and George referred to as “Gibson electric jumbos”. At a cost of £161.05 each (around £2200 today) neither Beatle had that kind of money available so the inevitable hire-purchase agreements were drawn up (and Brian Epstein would settle the outstanding amounts around a year later in 1963). On June 27th Gibson shipped the guitars, literally by boat, and taking over two months to arrive they were not with the Beatles in time for their 4 September session. They must have arrived within days however. A Rushworth’s receipt for John’s guitar is dated Monday 10 September 1962, but John at least seems to have taken possession a couple of days earlier. Billy May, guitarist in the Beat Cats who shared the bill with the Beatles at the YMCA recalls Lennon having it with him this Saturday night. John and George agreed to be photographed being presented with the guitars by the Rushworth's staff but Andy Babiuk, keen eyed author of the marvelous “Beatles Gear” (2001) suggests that the existing photographs may not have been taken on the day they took delivery. He points out that both guitars are finger marked and look well-played, not how one would expect brand new instruments to look. In addition both jumbos have string tied around the headstock for a shoulder strap, which is not how they would have been shipped from Gibson, and we know from the witness evidence of Billy May that John’s guitar did not have a strap (see below). The session was set up specifically for Bill Harry’s Mersey Beat, undoubtedly as a promotional tie-in with Rushworth's, and may have taken place shortly before the photographs made their October debut in the paper. And here's another clue for you all: George's black eye appears to have completely healed by the time these photos were taken. "Ey Mister! Are you sure these guitars are new?" 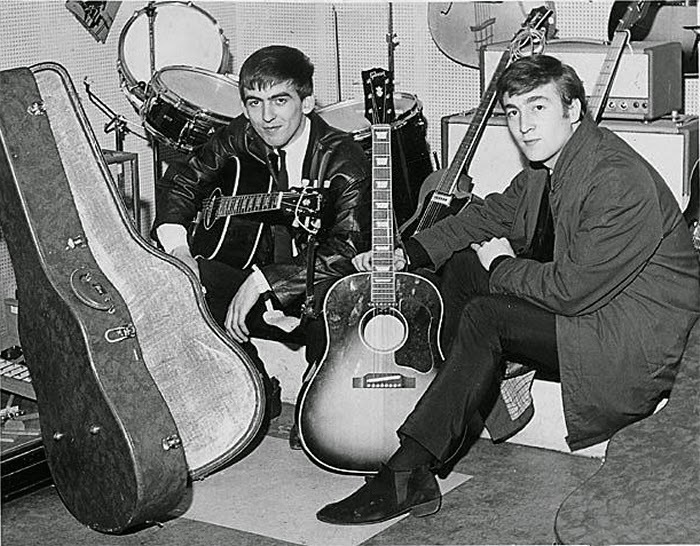 The guitars would appear in many photographs and TV appearances throughout 1963, most notably during filming for Granada TV in November and John and George were said to be very proud of them. Unfortunately John’s would be stolen only weeks later during the Beatles’ season of Christmas shows at the Finsbury Park Astoria in north London. I say John’s but it was actually the guitar registered to George when they took out the hire purchase agreements with Rushworth's. At some point the identical looking instruments were switched, either by accident or design. For whatever the reason, the stolen guitar was identified as John’s at the time. George kept hold of the surviving Jumbo, the one originally registered as John’s, and it remains the property of the Harrison estate to this day. 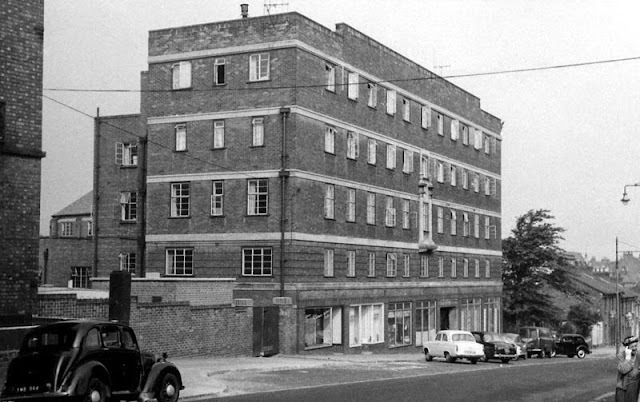 The Young Men's Christian Association was originally opened in Grange Road in 1890, moving to 56 Whetstone Lane on 4 February 1938. Co-incidentally, on the evening The Beatles were headlining "Jive Night" they would have entered the building through the door on Quarry Bank Road! Former chief executive Anne Johnson recalls "It was a great place to come in the 60s. 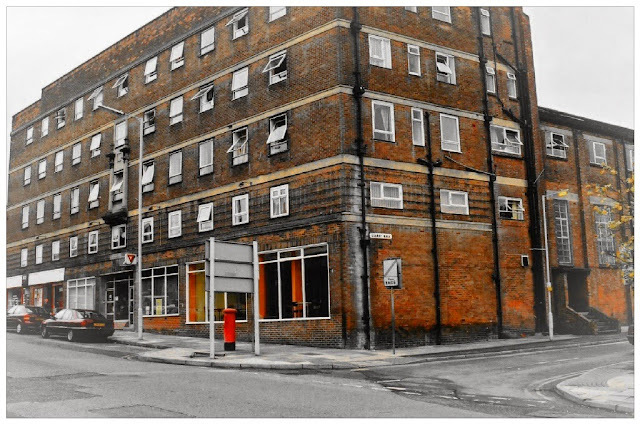 There were always plenty of activities going on and it was a place where young people would come to have a coffee or enjoy a night out" The YMCA was a focus point for the community and attracted other local performers, such as Ken Dodd. According to Mark Lewisohn's book "The Beatles Live", this was the Beatles sole appearance at the YMCA. Others think differently. Local musician and author Dean Johnson who has strong ties with the YMCA says “It has always been well known that the Beatles played there about eight times” but there appears to be nothing in the way of documentary evidence to support these claims. 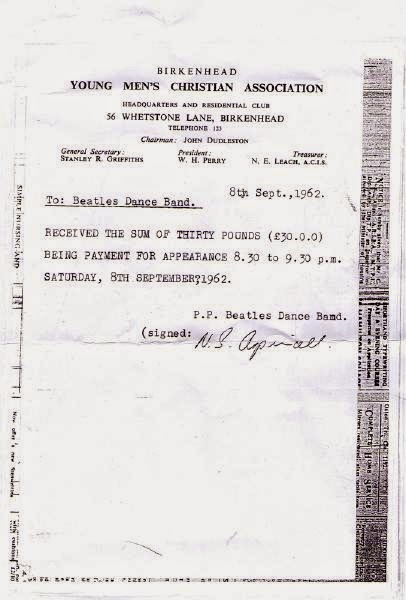 However, for this Saturday 8 September appearance we not only have the handbill to study but a receipt for the evening, signed on behalf of the "Beatles Dance Band" by Neil Aspinall. The document was found during a clear out by Nigel Hughes, the current chief executive of Birkenhead's YMCA. Hughes had asked his staff to empty some old office cabinets. Lots of old paper work was thrown into the bin, and as he walked past he noticed an old yellowing piece of paper screwed up in a ball. He picked it up and unfolded it and there it was. On reporting the discovery in 2013, Johnson says that, not surprisingly, the YMCA wanted to sell the invoice. Nigel Hughes took the invoice into safe custody and made contact with auction house Bonham’s who were said to be "very excited" about the discovery. May's recollection that the Beatles performed two sets doesn't seem to tie in with the receipt. I wonder if he was thinking of one of the other supposed appearances at the YMCA? Also making an impression that night were the The Peppermint Twisters a couple who demonstrated The Twist, a dance craze sparked by Chubby Checker (The Twist, Let's Twist Again, etc.). One of the twisters was the diminutive Tony Casey, who wore Cuban heel Chelsea boots and partnered a girl from Hoylake, giving demonstrations in clubs all over Merseyside, including The Cavern. 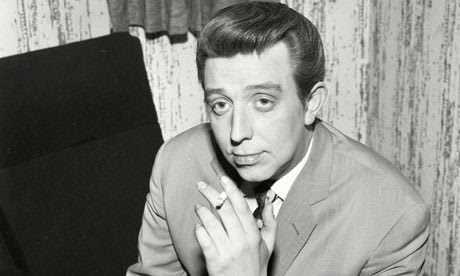 Billy May suggests that the Beatles and others copied Tony with his Cuban heel boots after they saw them. Coming off stage at the YMCA the Beatles made their way to Conway Road where they were booked to perform at the Majestic Ballroom, the venue where former drummer Pete Best would make his debut appearance with his new group, Lee Curtis and the All Stars two days later. "More than 50 years after first performing with John, Paul and George, The Beatles' original drummer Pete Best returned to Birkenhead's YMCA to officially name its community radio station. 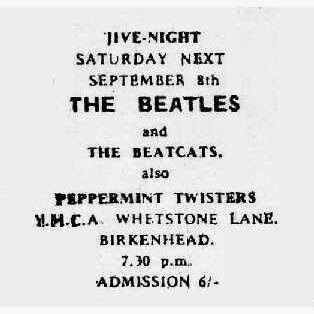 On September 8 1962, the band played to a packed crowd at the Birkenhead YMCA in Whetstone Lane. Just a few weeks later at Abbey Road recorded their first hit Love Me Do"
On returning the YMCA, Pete told the Globe: “It has changed an awful lot, compared to the days when we used to strut on the stage. The stage is no longer there. It must have been a popular place." Also on hand was the YMCA’s chief executive Nigel Hughes who said: “It’s probably one of the most significant visits that we’ve had in a long time and I don’t devalue any other visits. Everyone speaks with real affection about Pete; the man who put the beat into The Beatles. I think it’s a great credit to people like Pete, keenly supporting a young athlete from Wirral." If Billy's memory is correct and the Beatles played the YMCA and the Majestic on the same night earlier in 1962 then likely dates must be the 28 June, or 5,12,19 and 28 July all Thursday nights, except the final show which was a Saturday. 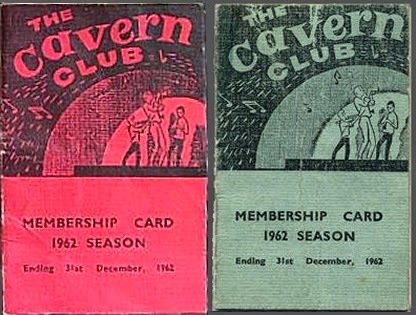 That then would seem the most likely date but we know the Beatles had an early evening appearance at the Cavern. Was this one of those 3 shows a day's night? The YMCA was demolished in the nineties to make way for a new building and to raise money for the Birkenhead YMCA Trust it was decided to cut the original stage into pieces and sell them as a collectible. As can be seen in the photograph above, the actual stage the Beatles performed on was so small that the boys must have sweated, stamped and spat on every single piece of it! 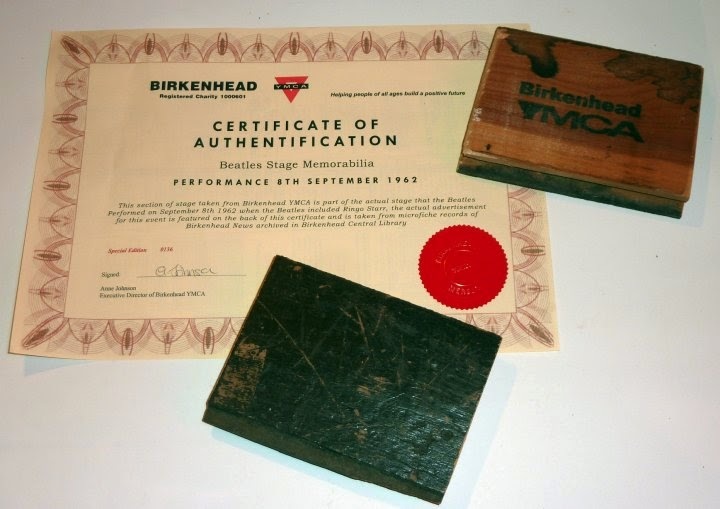 The stage was cut down into four inch blocks of which a limited edition of five-hundred were sold off for charity, all numbered, with the Birkenhead YMCA stamp on the block and a certificate of authenticity signed stamped by the executive director of Birkenhead YMCA, Anne Johnson. The reverse of the certificate had the actual advertisement for the event laminated on the back, as taken from microfiche records of Birkenhead News archived in the Birkenhead Central Library. After a late night over on the Wirral, the Beatles regrouped at the Cavern around lunchtime and spent the day in rehearsal before performing there later that evening. Also on the bill was Clinton Ford, the Salford born singer who got his big break performing with the Merseysippi Jazz Band at the Cavern and went on to make TV appearances on the Ken Dodd show. Ford's cover of "Old Shep" was the only version of the song to ever chart in the UK and he donated his royalties from the song to the British Guide Dogs For The Blind association. "Fanlight Fanny" was his most successful single, reaching 22 in the UK singles charts in March 1962. 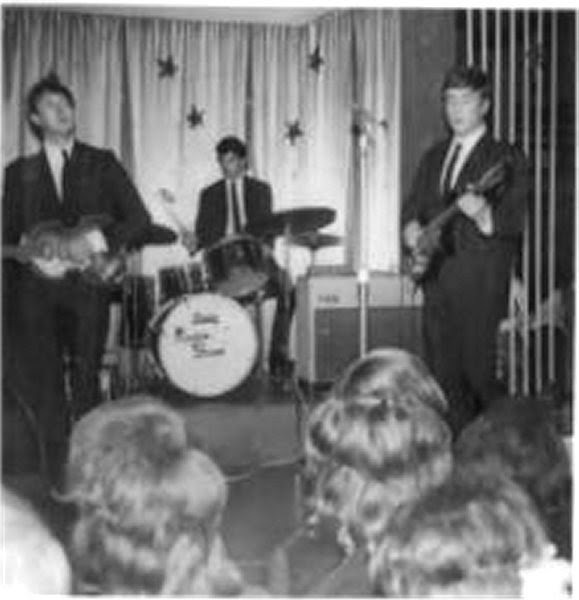 On Monday 10 September the Beatles played another lunchtime session at the Cavern before making their way over to Widnes for the second of their three Monday night appearances at Queen's Hall. Rory Storm and the Hurricanes again provided the support for the Beatles, doing so, perhaps, through less gritted teeth than the previous week. Exactly one week on from their initial flight from Liverpool Airport the Beatles were back there again on Tuesday 11 September, flying Starways to London to have another go at recording "Love Me Do" and its b-side at Abbey Road. Perhaps trying to improve upon his earlier effort, Brian Epstein took another photograph of the group prior to boarding. Whilst George's black eye had faded his scowl had not. Despite this second session being considered more of a success, it was a version of "Love Me Do" recorded on 4 September 1962 that would appear on the single when it was released on Friday 5 October 1962.